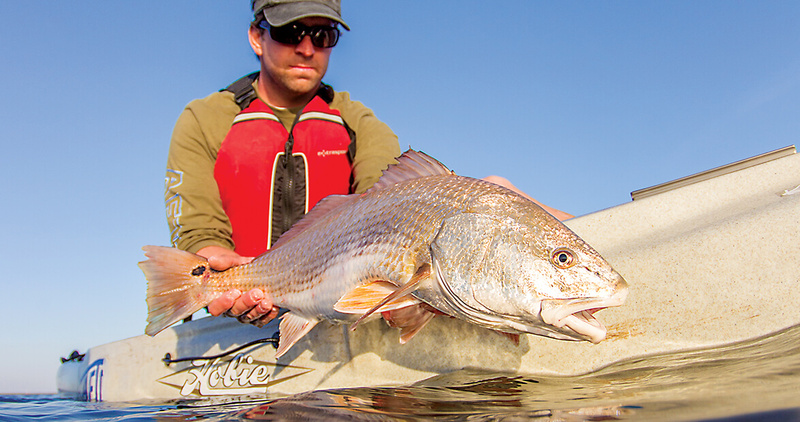 Whether you call it a red drum or a spottail, our state saltwater fish remains a prize for anglers and diners. Blame Paul Prudhomme, the beloved Cajun chef whose 1980s popularization of “blackened redfish” started this mess. In North Carolina, Sciaenops ocellatus was variously called “red drum,” “channel bass,” and, occasionally, “spottail” or “spottail bass,” but it was hardly ever called “redfish.” That was pre-Prudhomme. Now the moniker “redfish” has nearly replaced the venerable “red drum.” But the fish haven’t noticed. The official state saltwater fish of North Carolina — “channel bass,” to be precise — still skulks in the heavy surf of nearshore breakers, still feeds in the fertile currents pouring out of the salt marsh, still quickens the hearts of anglers who hear the reel zinging with a fish so strong you can’t stop it at first, so you hang on to the rod, listening to the line ripping from the reel, whining in the wind, the unofficial theme song of the saltwater autumn. Feature image, above: Channel bass are a favorite catch of North Carolina sport fishermen like Dave Lusk.